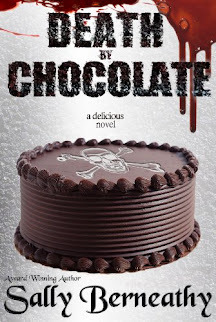 A #1 Kindle Bestselling Time Travel Romance! In modern-day London, cynical reporter Jason Burke greets his current assignment of covering the Christmas Candlelight Tours with all the “Bah Humbug!” of a true Ebenezer Scrooge. Then a cryptic invitation takes him to the historic Simmons Hotel, where the “ghost” of lovely Annie Simmons leads him on a haunted, poignant tour of the deserted mansion. At once Jason is captivated by his ethereal tour guide, especially when the forlorn beauty tells him that she died on the hotel staircase in 1852, when she learned that her true love deserted her. Soon Jason is transported back in time to meet the real Annie Simmons as a flesh-and-blood woman, and to experience firsthand the wonders of celebrating Christmas with her in Dickens’s England. But Jason finds he has arrived at a juncture in time only weeks before Annie will die! He has been warned that his time here will be limited, and he fears Annie is under the spell of a rival, a cad who will surely betray her and cause her death! In order to rescue Annie, Jason must resurrect his own nobler nature and recapture the true spirit of Christmas. Can Jason save Annie in time for Christmas? Or will his newfound love for her doom her instead? A CHRISTMAS IN TIME is a poignant, stirring and intriguing romance of two star-crossed lovers giving their hearts and souls to one another in a Christmas gift for all time. A CHRISTMAS IN TIME is a single anthology novella of approximately 28,000 words. Eugenia Riley is the renowned, bestselling author of dozens of historical, contemporary and time-travel romances, including the classics A TRYST IN TIME and BUSHWHACKED BRIDE. 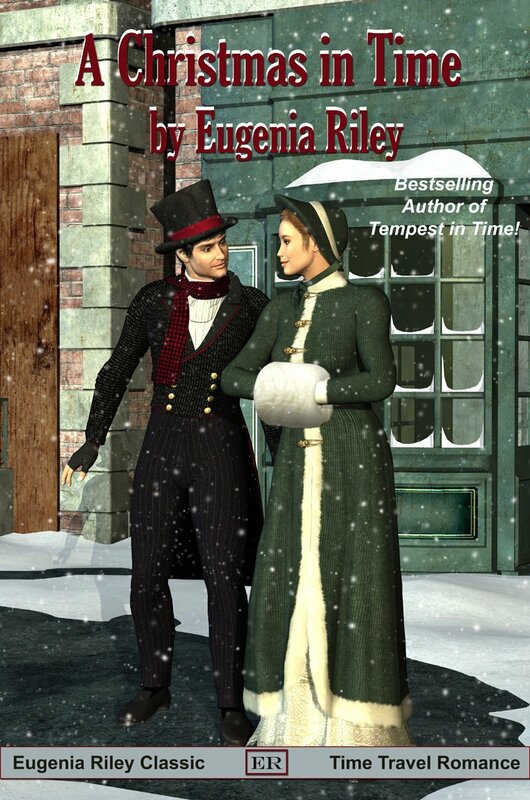 Also available in Kindle from Eugenia Riley: CHRISTMAS WITH AN ANGEL; MISSISSIPPI MADNESS; BUSHWHACKED BRIDE; BUSHWHACKED GROOM; WANTED ACROSS TIME; A TRYST IN TIME; PHANTOM IN TIME; EMBERS OF TIME; LOVERS AND OTHER LUNATICS; TIMESWEPT BRIDE; TIMESWEPT BABY; THE PHANTOM OF THE BATHTUB ; TEMPEST IN TIME; and TWO HEARTS IN TIME. Can he save her in time? The night had grown bitterly cold, with a thousand bright stars glittering in the clear black skies above the sleigh. On the facing seats, Annie and Jason were the only ones left awake. They stared at each other achingly, their stark faces illuminated by the silvery light of the moon. To Jason, it was as if no one else in the world existed but the two of them. He watched in anguish as a tear trickled down Annie's cheek. The sight of her sorrow seemed to drive a lance deep into his very heart. “I'm going to break off my engagement with Stephen,” she whispered back, choking on a sob. Even as she was drawing back the quilts, Jason was reaching out for her, drawing her across the sleigh and onto his lap. He covered her with the quilts, cuddled her close, and then his ravenous lips took hers. Their kiss blazed like fire in the freezing cold night. Jason devoured Annie's mouth, possessing and savoring her. She clung to him and kissed him back with equal ardor. To Annie, the moment was pure paradise - this man was everything she had ever wanted, her destiny. She felt a part of him, as if they were truly one, inseparable. Jason, too, felt the love, the deep bond between them, and only wished he could hold her this way forever. At last their lips parted on a sigh. He kissed away the tears on her cool cheek and slipped his gloved hand inside her cloak, pressing it to her slender waist. “Are you?” she asked, lifting her brimming gaze to him. But she would say it - and thus Jason silenced her the only way he could, kissing her again and again and again, until both of them were feverish with desire . . .